Decatur City Hall is located at 509 North McDonough Street, Decatur, GA 30031; phone: 404-370-4100. Photo: Swanton House, ca. 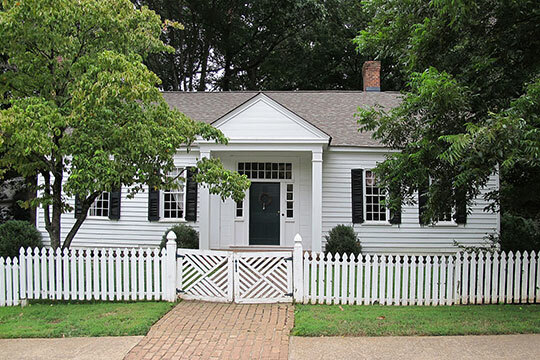 1830s, 716 West Trinity Place, Decatur, GA. Listed on the National Register of Historic Places in 1978. Photographed by user:strixxvaria (own work), 2012, [cc-by-3.0 (creativecommons.org/licenses/by/3.0)], via Wikimedia Commons, accessed September, 2014. Decatur was founded in 1822. It was named for Stephen Decatur [1779-1820] a naval officer who served in the Barbary Wars and the War of 1812. Decatur, the county seat of DeKalb County, Georgia, is a delightful residence city of 6,500 population located on the Georgia railroad, six mines northeast of Atlanta, with which it is connected by two trolley lines giving frequent schedules. It furnishes residence to many men whose office and business is in Atlanta, and to others interested in large manufacturing enterprises nearby, but outside of the municipality. M.L. Duggan, Rural School Agent, Educational Survey of Decatur, Georgia Public School System, Georgia State Department of Education, M.L. Brittain, State Superintendent of Schools, Atlanta, 1918.